Despite the popularity of tablet computers the convertible 2-in-1s still seem more functional and are selling like hotcakes. You can easily go with a smartphone and a laptop for your computing needs and not own a tablet at all. In the end if you really need one, you can get a convertible laptop that will transform between the two. I personally don’t use a tablet but I know that younger generations can’t live without a touchscreen. I do use a Kindle Paperwhite reader and I truly love it. If you just want to read books then no tablet compares to a reader, at least I haven’t seen a better one yet. 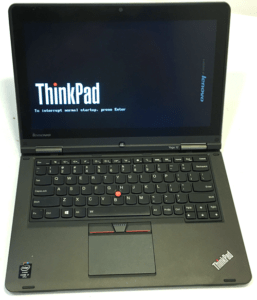 I really like Lenovo’s Yoga line of convertible laptops and today I want to review in short a Lenovo ThinkPad Yoga 12. 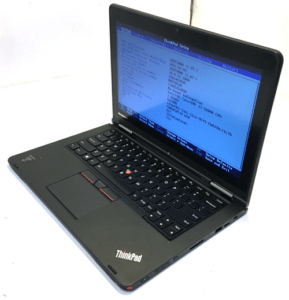 It is a smaller brother of the ThinkPad Yoga 15 i7-5500U laptop. 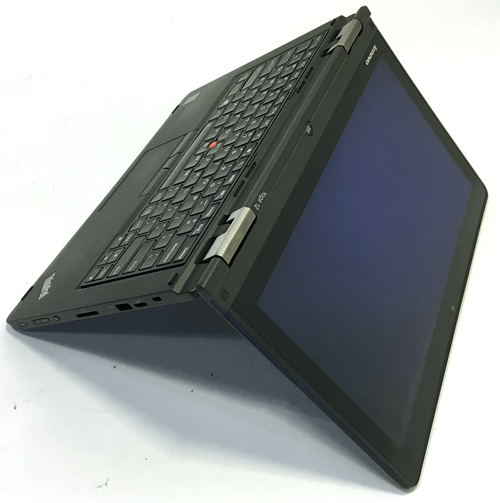 When Lenovo took over PC production from IBM they kept the ThinkPad name for more professional types of laptops. Over the years they gained indisputable recognition due to great performance and longevity. 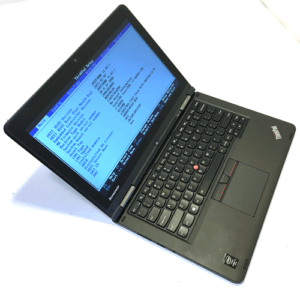 I used to own a ThinkPad T40 and it was a great laptop with an excellent battery life. Compared with the previous Lenovo ThinkPad Yoga 12 with 4th gen Intel Core i7 Haswell processor the new one has 5th gen i7 Broadwell chip. Other significant differences that can be seen with a naked eye are the touchpads. Seems like Lenovo experimented with a single piece touchpad without buttons in the older model. 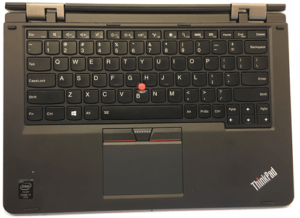 It didn’t work out that well and following recommendations from users Lenovo brought back the classic touchpad with buttons in the new model. It is complemented with the pointer in the middle of the keyboard that was also present on my T40. Another improvement of the preceding model is better graphics chip that delivers 25% more performance which is pretty substantial. 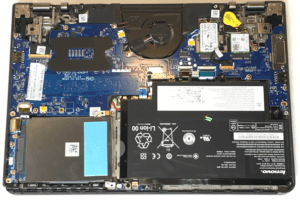 Other than slightly lesser power consumption from the Broadwell processor the two laptops are pretty much the same. 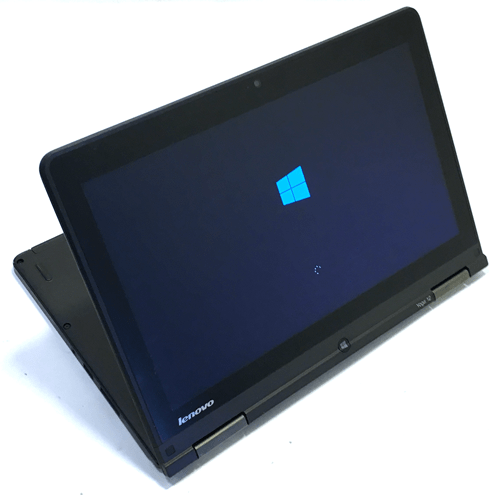 The Yoga laptops are known for well designed hinges that allow for any configuration between laptop and tablet mode. Especially theater mode is very useful for any type of presentation, hiding the trackpad and keyboard, and totally relying on the touch display, which by the way works flawlessly. Like I mentioned Lenovo packs ThinkPads with more functionalities adding a stylus for more precision in sketching and editing. Chassis was designed with aim for durability. It is made of magnesium alloy that’s light and sturdy and also looks good finished in black. Yoga’s 12 close competition, HP Spectre X360 is slightly lighter and slimmer. 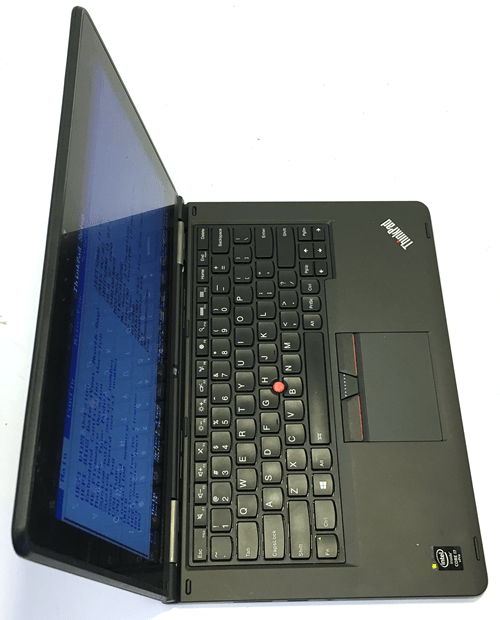 But the Thinkpads are usually bulkier, making them appear more work worthy. It’s just an impression buy it works well and wins new followers in the world of professionals. Additionally the screen is protected with gorilla glass and the laptop passes very rigorous shock tests, including drop and spill. The vents in the base portion of the body are well designed for yet improved ventilation. The laptop doesn’t get hot, even under long continuous work load. 12 inch display size places this Yoga right in between Dell’s convertible laptops, Inspiron 11 3147 and 13 inch Inspiron 7000. Yoga is ultraportable and works perfectly on the go. Screen resolution of 1,920 x1,080 pixels is rather standard in its class, but sufficient for a business laptop. It offers good viewing angles, accurate colors and enough brightness. We couldn’t find any flaws. It just isn’t as brilliant as a MacBook 12 inch model that we talked about very recently. A very nice touch on the Lenovo is a smudge-resistant surface of the display. That should be offered in all touch screen computers. The Core i7 5600U / 2.6 GHz Broadwell processor delivers great performance and will tackle with ease mosts tasks you throw at it. Combined with 8GB RAM and HD Graphics 5500 will stream high quality videos, while running other applications in the background. 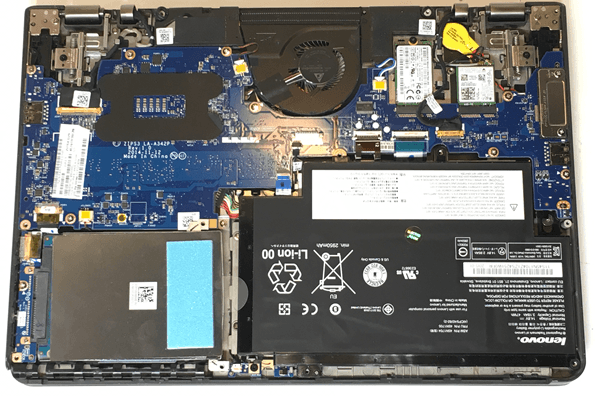 Laptop scores high on all performance tests, and does just fine put against newer 2016 pre-Kaby Lake HP Envy 13 laptop. 256GB SSD has plenty of storage and makes all your applications available in a blink of an eye. The solid state drive can be removed and upgraded if needed, but 512GB and 1TB SSD’s are still pretty pricey. A better idea is to keep extra files, that aren’t needed every day, on a separate external storage device. They can be purchased really cheap in places like eBay and many Internet stores. We are used to seeing high quality components on Lenovo’s laptops like ThinkPad X1 carbon and other models. 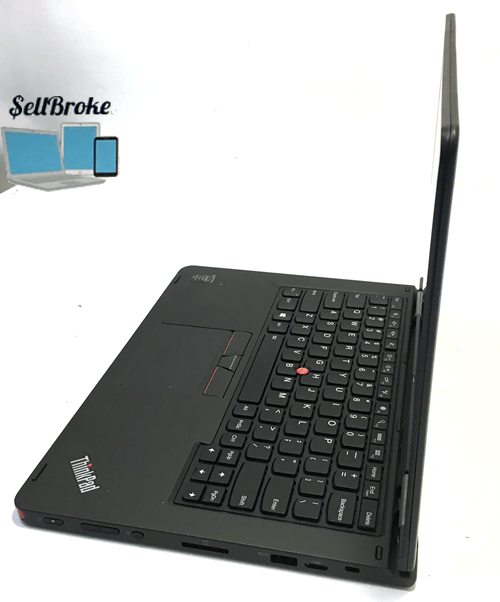 Better materials than just plastic undermines the desire to be higher end laptops and justifies higher price. 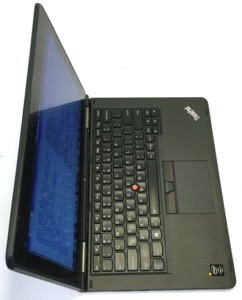 Lenovo offers very wide variety of personal computers and If you prefer a hybrid with detachable keyboard then I suggest looking at LENOVO Miix 700 2-in-1 tablet. If that’s out of your budget you can buy a cheaper machine like Asus Transformer Book T100. Not as fancy but will get you through the day just fine. Now may be a good time to buy a new laptop on a Memorial day sale. Many stores are still keeping lower prices to sell laptops and make room for fresh models coming shortly for the summer.